Hehehe this weeks challenge is to use no Christmas images or papers and to only give us a Christmas sentiment and all the rest is non traditional. Ive used some new goodies coming out on the 1st December in the Summer Mini Catalogue here. 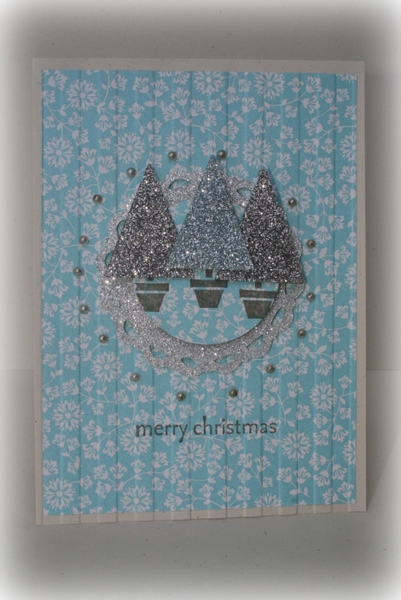 The silver glimmer paper is totally gorgeous. I coloured the Christmas trees with my markers but you can use daubers/aquabrushes and reinkers to do the same. Just make sure you heat set it at the end to finish it!. The tree bases are from Pennant Parade. This is a beautiful Christmas card Delys, love the colours and that Spice Paper is going to have to be used very soon from my pre-order, can’t believe I haven’t opened the packet yet! Have a great weekend. LOVE this!! I was just looking at that gorgeous paper last night, hankering to make something with it, and it looks amazing on your card – thanks for the inspiration, Delys. Totally gorgeous. 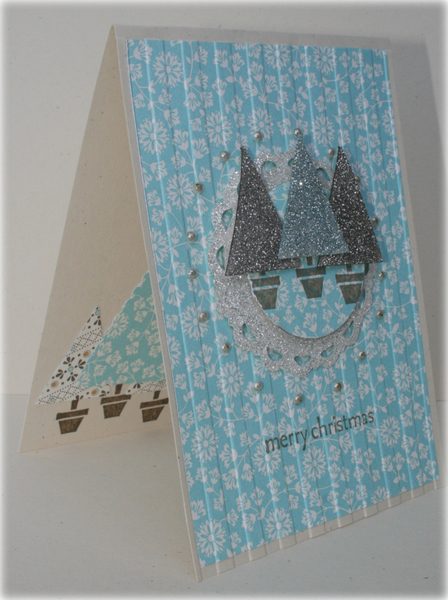 Love your coloured Glimmer paper Delys and the DSP trees peeking out…too cute! 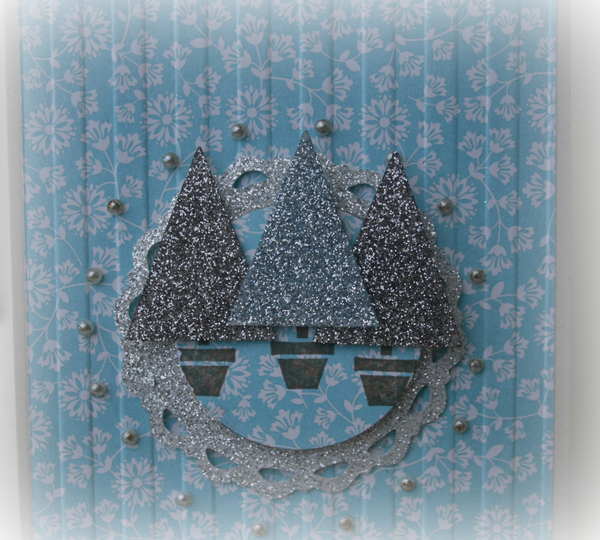 Love those sparkly trees, Delys and they look gorgeous on that DSP.